The Tuskegee University Fall 2016 Convening of Partners, “Tradition and Trajectory: Entwined in Mission and Vision,” will take place on September 15-16 in Indianapolis. Tuskegee University coordinated this inaugural convening to dialogue with key organizations, foundations and corporate partners to improve persistence, achievement and access to education and experiential opportunities among students from diverse backgrounds. The Convening of Partners will explore innovative, transformative and mission critical ideas among intersecting organization visions to examine interdisciplinary efforts aimed at addressing such issues. It is made possible by a generous presidential priority grant from the Arthur Vining Davis Foundations and will be hosted and moderated by the Indiana University Lilly Family School of Philanthropy. Representatives of interested organizations are invited to attend. The program agenda, RSVP and registration are available at Tuskegee.edu/Convening. The event will be held at the NCAA Hall of Champions Conference Center, 700 W. Washington St., in Indianapolis. Tuskegee’s legacy of leadership and commitment to academic excellence has been fostered through partnerships from its earliest days under the direction of its founding principal and president, Booker T. Washington. The university’s legacy of distinction is reflected in its production of cutting-edge patents and research, its advances in the fields of medical science, agriculture, engineering, veterinary medicine and scholarly works and its preparation of its students to become 21st century global humanitarians. 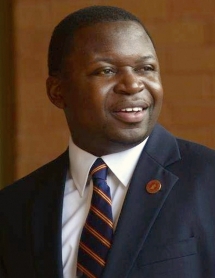 “We are pleased to collaborate with Tuskegee to facilitate this exchange of ideas about potential partnerships and projects that would honor its tradition of excellence and build on that tradition in new ways to strengthen and advance the future of Tuskegee’s students and of our society,” said Gene Tempel, founding dean emeritus of the Lilly Family School of Philanthropy, who will serve as moderator for the conference. Founded in 1881 by Booker T. Washington, Tuskegee University is home to approximately 3,000 students from the U.S. and 30 foreign countries. The academic programs are organized into eight colleges and schools: 1.) Andrew F. Brimmer College of Business and Information Science, 2.) College of Agriculture, Environment and Nutrition Sciences, 3.) College of Arts and Sciences, 4.) College of Engineering, 5.) College of Veterinary Medicine, 6). School of Nursing and Allied Health, 7.) Robert R. Taylor School of Architecture and Construction Science, and 8.) School of Education. Tuskegee University is accredited with the Southern Association of Colleges and Schools Commission on Colleges to award baccalaureate, master's, doctorate, and professional degrees. The following programs are accredited by national agencies: architecture, business, education, engineering, clinical laboratory sciences, nursing, occupational therapy, social work, and veterinary medicine.